Justin lays out the blueprint for the City of Champions 5-part project and the impact it will have here in Colorado Springs. Dr. Linda Sturtevant and Dr. Julie Marmon from ER Specialists Urgency Center talk about vaping, teen suicide, and more. Lt. Howard Black talks about pedestrian safety, road rage, and more. El Paso County Clerk and Recorder Chuck Broerman talks about the temporary clousre of the DMV for a systmen update, preparing for the next election, and more. Bell & Pollock talk motorcycles. Sunny Smaldino talks burn restrictions being lifted and what that means. It's Mountain Arts Festival Time August 4th and 5th! Join us in Woodland Park August 4th and 5th for the annual Teller County Mountain Arts Festival and Rocky Mountain Dinosaur Resource Center's Critter Rescue! Experience a day in the 'City above the Clouds' with accomplished local artists and amazing critters available for adoption! Stay and Play in Woodland Park August 4th and 5th! Greg Coopman talks with Kelsie Heermans with the Senior Resource Council. Deborah, examines renting vs. owning a home with her expert and show sponsor Ryan Herbig. They discuss why renting is no longer an option. Listen and learn! In this edition of 7 Mountains Business Radio with Karen Conrad, your vision combined with your business and your walk in faith makes your dream of success a reality. Karen Conrad and 7M Business Ventures: Equipping Business Owners with Kingdom Principals to Succeed in the Global Marketplace. This week, Julianne Harris shares how God is love and how you can be healed through the word of God. 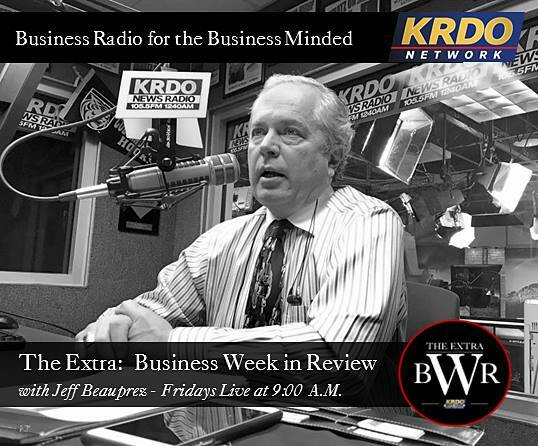 This week on Business Week in Review with Jeff Beauprez, Colorado almost at the top of US News & World Report's list of best places to do business! Then, any idea which anti-virus software you should use? Some strong feelings out there about this and talking about it often gets personal. Ben Reed with ESET joins Jeff to talk about the fray. - Have you ever been to Rasta Pasta? - What’s your favorite type of fusion food? - What do you look forward to doing the most during COS Summers? - When you have family/friends visit from out of state where do you take them/what do you do? Lindsey sits down with professional resume writer and owner of Aerielle Ludwig LLC, Aerielle Ludwig! Aerielle works with milspouses to create job application packages guaranteed to land them the job. Host Lindsey Litton sits down with MHN Brand Ambassador Rosalind Heaney to discuss keeping a work from home job while going through military life. Dana Barton and Emily Shuman from the Rocky Mountain ADA Center talk about the 28th Anniversary of the ADA, drive-by lawsuits, how to make your social media more accessible, service animals and more. Sheriff Bill Elder discusses the double-fatal crash on Hwy 24, the shootout on Sunday with an update on Deputy Jeremy Jool, and more. This week Justin discusses how your answer to financial freedom could be in your own back yard. Justin also gives you his Real Estate rates updates for here in the El Paso county area. Rob talks Broncos training camp, with Sky Sox GM Chris Phillips about their name change, and about Mountain West Conference football. Amy Trinidad and Natalie Eckhart from Colorado Springs Utilities give us updates on increasing renewable energy, decommissioning of the Martin Drake Power Plant, water levels, and much more. Jerome Ford from Crawford House and Danica Taylor share details about an upcoming golf tournament at Pine Creek Golf Course to help homeless veterans in our community. Chelsy Offutt with the Colorado Springs Convention and Visitors Bureau brought Claire Swinford, Urban Engagement Manager with the Downtown Partnership, and Jolie Nesmith, Executive Director of Pike Ride, to talk about some of the fun things happening in downtown Colorado Springs. Colorado Parks and Wildlife District Wildlife Manager, Cody Wigner, talks how wildlife is affected after all the wildfires, a poaching case in Breckenridge, cutting down on human/bear conflicts and a lot more. zTRIP is hiring drivers, special annuncements from 365 Grand Club and the WhirlyBall events calendar is full! Fish Fry Fridays in the Palmer Center in front of the Antlers with Live Music, the Delicious Downtown Food Tour; Local Motive and more! The 365 Affiliate of the Week – The Warehouse Restaurant. Vanessa's Pick of the Week – Fresh and Delicious Lunch Spots. Rodeo, Prode Fest, Blues, music festivls and food. Angela and Justin from Sanders Law Firm for Pt. 2 of their discussion on dealing with all things legal. Greg Coopman talks with Fran Capritta and Mark Greiner with the Retreat at Sunny Vista. Bell & Pollock talk injuries insurance problems v solutions. This weeks show welcomes Deborah's friend and colleague Caireen from Cleaning by Caireen and Crew. Caireen will help you prepare to sell your home or at least get those honeydoo's finally out of the way! Listen and Learn. A sheriff's daughter goes from a life in hell to ministering to the hurting and those seeking light, love and forgiveness. Tune in Saturday mornings at 6:00 for the best spiritual jolt you might never have known you needed! Julianne Harris finishes up with "Who Told You You Were Naked". Sharing her personal story and her struggle which lead her to her Ministry. In this edition of 7 Mountains Business Radio with Karen Conrad, part 2 of becoming an effective entrepreneur by learning and aplying Blue Ocean Strategy. This week on Business Week in Review with Jeff Beauprezஃ, Mr. Michael Figueroa, CEO of the Advanced Cyber Security Center to talk in depth about threat sharing. In Tech Bytes, Jeff has an anxious Microsoft, the federal government and facial recognition technology on his mind. They all tie together. Tune in to find out how. Mayor John Suthers talks about transparency on city council with closed-door meetings, the Fix the Damn Roads petition, Pikes Peak Cog Railway and more. Congressman Scott Tipton talks about Russia’s interference with American elections, the wildfires burning in our state, the Super Tanker and a lot more. In this edition of 365 Grand City Life Show with Andrew Woehley, Vanessa Keim and Josh Hady, everything you wanted to know about the 365 Grand Club - an elite urban social club; in Bites and Brews, evrything from party busses to bluegrass, there is a lot going on foir the foodie in you; Claire Sanderson from the CPCD Head Start program is in-studio to talk about the needs of our community's children; and finally, Josh Hildebrand, Volunteer Coordinator for the Pikes Peak International Hill Climb is in to talk about all things Hill Climb! John Spears and Jeremiah Walter from the Pikes Peak Library District talk about Penrose Library celebrating 50 years. The history of the Pikes Peak Library District, filling the needs of the community and a lot more. Mayor John Suthers talks about transparency on city council, the Fix Our Damn Roads petition, and PlanCOS. - PikeRide Station Party at Story Coffee Company 07/25 8am-10am at the Pikeride Station in front of the Story Coffee Company at Acacia Park. Learn about PikeRide - meet the staff, learn about memberships, how the bikes work and the service area. Anyone that takes a bike out for a spin or signs up for a membership gets a free story coffee co. Beverage! - Get your side hustle on! The pros and cons of having a side hustle or your own business. - Christmas in July 365 Grand Club Member Mixer at Whirlyball 6-9pm. This week Justin examines commercial properties and takes a close look at the "Big Box" stores. This week, Saddletree Homes! The home you see when you close your eyes and dream! Dr. Linda Stutervant from ER Specialist Urgency Center talks about a medication recall and a new study that says multivitamins may not be the beneficial. 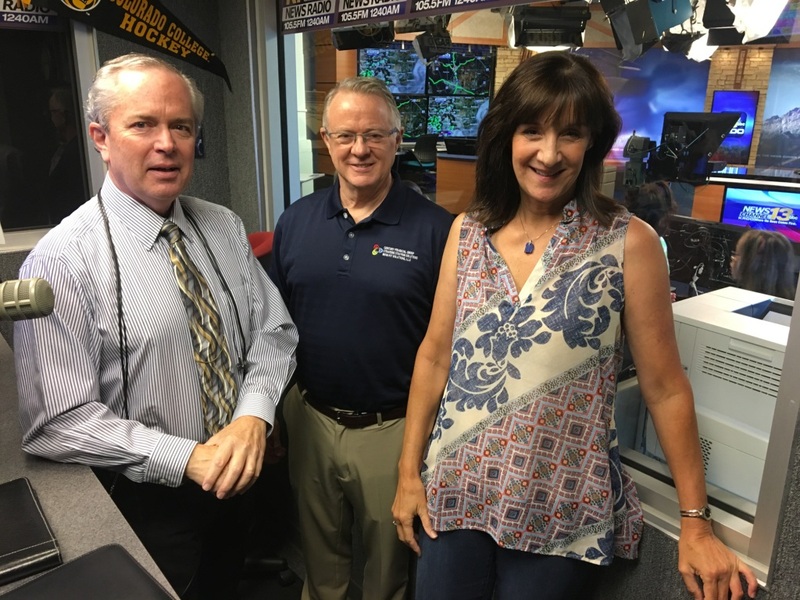 Greg Coopman talks with Kent Mathews from the Pikes Peak Area Council of Governments and Catherine Hammond with the Hammond Law Group. Deborah gives you her list of most important, often forgotten, things to look for when buying a home. Julianne Harris continues with her story of hope, finishing up with attending Bible school. In this edition of 7 Mountains Business Radio with Karen Conrad, there is a science behind making Blue Ocean Strategy work for you. When it comes to managing people in the work place, it can feel like adult daycare. Byron McCurdy, COO of Bene-Fit Solutions, has stories and one of them includes pole dancing IN the workplace. Robin Roberts co-hosts with Jeff Beauprez. Tech and Business Bytes are in the offing as well. Rob talks with Mike Rice of KOA NewsRadio about the Rockies and English footballer Mark Turner about the World Cup and his book, Seasonal Disorder: One Colorado Springs Switchbacks FC fans journey through the 2017 USL season.